A new study has found that excessively high levels of folic acid in pregnant women appear linked to an increased risk of autism in the women's children. "We have long known that a folate deficiency in pregnant mothers is detrimental to her child's development. But what this (study) tells us is that excessive amounts may also cause harm,” Dr. Daniele Fallin, one of the authors of the study at Johns Hopkins University’s school of public health, said in the study. Folate is a naturally-occurring B vitamin considered essential to the proper neurological development of fetuses; folic acid is the supplement form of the vitamin. Several studies have linked folic acid deficiencies in early pregnancy to birth defects and a greater risk of autism spectrum disorder. In the 1990s, health officials across North America began recommending that all expecting mothers take a daily dose of the vitamin. Regulators also began to require folic acid to be added to many grain products. But the newly-released study found that excess levels of the vitamin may be harmful. The study looked at data 1,391 mothers who gave birth between 1998 and 2013.The women’s blood folate levels were measured within the first three weeks of delivery. Researchers found that if a new mother had very high levels of folate after giving birth, the risk of her child developing autism doubled. Excess vitamin B12 in new mothers was also linked to a tripled risk of the child developing the disorder. If both folic acid and vitamin B12 levels were too high, the risk of the child developing autism increased by a whopping 17.6 times. Meanwhile, mothers who had moderate blood levels of folate and the related vitamin B 12 in their blood at the time of birth had a lower risk of having a child with autism. 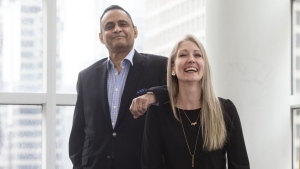 While some experts have called the new study preliminary and alarmist, one Canadian researcher said it reaffirms growing suspicions about the health risks of excessively high folic acid levels. “Human and animal studies show too much folic acid in pregnancy may cause allergies, asthma and increased risk of cancer and cognitive dysfunction as well,” said Young-In Kim, a professor of medicine at the University of Toronto and St. Michael’s hospital. In a statement to CTV News, Autism Canada executive director Laurie Mawlam said the study “raises the potential concern that excess folate and/or vitamin B12 may increase the risk of ASD.” Mawlam said more research had to be done to better understand the complex relationship between the vitamin and the disorder. The researchers Johns Hopkins say they don’t want the study to discourage pregnant women from taking folic acid, but that further studies are needed to determine what the safe levels of the vitamin are. 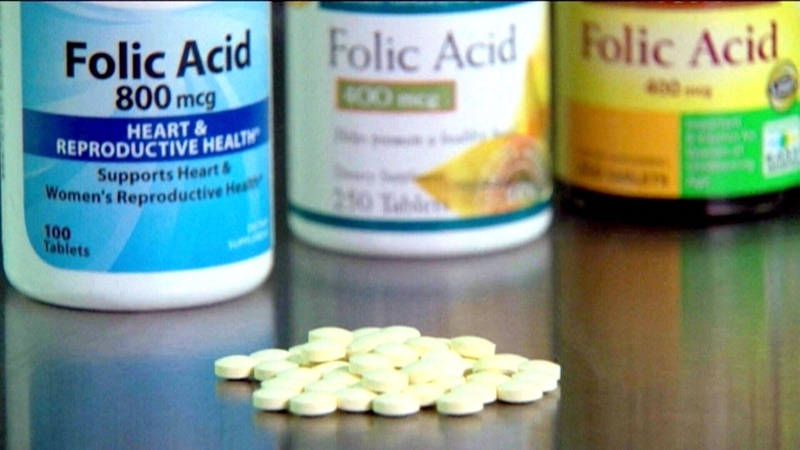 Despite this push to ensure women get adequate folate, Center for Disease Control and Prevention says a quarter of women of reproductive age in the U.S. still don't get enough folic acid. The World Health Organization says that between 13.5 and 45.3 nanomoles per litre of blood is an adequate amount of folate for a woman in her first trimester of pregnancy. There are no well-established guidelines for adequate vitamin B12 levels during pregnancy. The findings will be presented on Friday at the 2016 International Meeting for Autism Research in Baltimore, Md.